SAFERjobs CIC (company registration: 10440381) is a non-profit organisation created by the Metropolitan Police to raise awareness and combat criminal activities that may be attempted on those seeking a job, those within the recruitment industry or through the services provided by the industry. The ultimate aim is to protect job seekers and agency staff from exploitation. SAFERjobs is supported by GOV UK and works with a number of government organisations to protect people searching for work or currently working within the recruitment sector. Our partners include the Metropolitan Police, Department for Business, Energy and Industrial Strategy (BEIS), Department for Work and Pensions (DWP), Trading Standards, City of London Police, the Home Office, and Action Fraud. In 2016 almost 0.75m job seekers visited the SAFERjobs website for help and advice. Information provided to SAFERjobs by job seekers led to a large amount of enforcement action, website take downs, and the removal of fake jobs in 2016, work we are committed to continuing. Lord (Ralph) Lucas: Physics at Oxford, FCA, S.G.Warburg & Co, a Conservative in the House of Lords since 1992 (a whip 1995-1997), editor of The Good Schools Guide since 2000. Ben is the Conservative MP for Bath. Ben is passionate about championing issues. Ben was formerly the National Chairman of Conservative Future in 2010, the youth wing of the Conservative party whereby he campaigned for better provisions and services for young people. He also debated against tuition fees, for employment opportunities for young people and public sector reform. Ben is a pragmatic conservative and champions local causes on the green benches of Parliament while visiting local markets, schools and community groups to find out the matters which matter. Keith founded and leads a pre-employment vetting business for REED, the recruitment company, which has since become one of the largest screening companies in the industry, and is also responsible for REED's global assurance and compliance programmes. Keith sits on the board of the National Association of Professional Background Screeners (www.napbs.com) as Chair Elect and also Chairs the Compliance Committee for the Association of Professional Staffing Companies (www.apsco.org) within the recruitment sector. 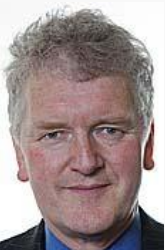 Keith is Non Executive Board Member of Glasgow Clyde College and Trustee of the Clyde Education Foundation Trust. Keith is on two panels promoting employment for under-represented groups alongside Scottish and UK Government, with particular focus on employability issues with under represented groups such as youth employability and people with convictions. 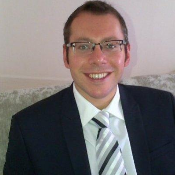 Keith has an MBA from Aston Business School and is currently doing his PhD in business enterprise. He was awarded a Home Office Commendation Award for services to recruitment in 2016. Richard is one of the two founding Directors of SAFERJobs CIC and has been involved with the organisation for over 2 years. 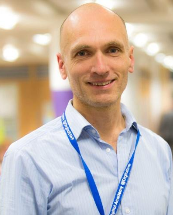 As a Senior Civil Servant, Richard is responsible for HM Government’s Universal Jobmatch service and is Head of Profession for Business Analysis in the Department for Work and Pensions (DWP) and leads the community across Government. Universal Jobmatch is an online job posting and matching service for jobseekers and employers. The site has an average of 4.5 million daily job searches and has the most traffic of any Gov.uk site, with over 7 billion page views since its launch in November 2012. Richard’s previously worked in the Department’s Child Maintenance Group as Head of Business Architecture and Design and was responsible for the design of the new Child Maintenance Scheme for Great Britain. Prior to DWP, the majority of Richard’s career was in the Internet and Telecoms industry. He was a member of the original management team of Freeserve, the pioneering ISP, and has held a number of senior roles across business, Operations and Technology functions. Richard is also a school Governor of his local Primary School. Dave has been with the Department for Business, Energy and Industrial Strategy (and previous incarnations) for over 30 years, and has wide experience enforcing legislation, from UK export controls through to his current position with the Employment Agency Standards inspectorate who regulate the Employment Agency Conduct Regulations. Has previously been a database manager, with specific responsibility for the data published on strategic export controls and development of internal query tools, processed ship to shore licence fee payments, and also has a background in HR. DC Krishan Kapur is the Metropolitan Police lead for SAFERjobs. Krishan is a detective on SCO7 FALCON (Fraud and Linked Crime On-line) and within this specialised division lies Operation Sterling a dedicated fraud prevention unit. In 2008 the Metropolitan Police identified that recruitment fraud was a major issue and as a result SAFERjobs was launched, as a multi-agency approach to combat fraud in the recruitment sector. SAFERjobs has evolved into a platform where advice is given on a range of employment issues and by working with recruiters, government, regulators, law enforcement and trade associations we are able to work together to resolve the issue.